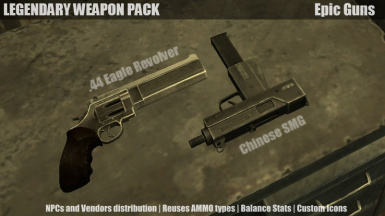 Welcome the .44 Eagle Revolver and the Chinese SMG to Wasteland! For the Community by the Community, Enjoy! Credit is welcome but not need. You´ll need permissions from the original authors to fully modify the meshes and some resourses that weren´t rebuild. - Chooies Chinese Armory Mang Tan Machine Pistol by leChooie. - Chooies Chinese Armory Mang Tan Machine Pistol﻿ by leChooie (Thanks man). - DWPPC357Revolver﻿ by Nester (Thanks a lot). - Some textures parts from: Hi-Res Weapons v3﻿ by the a - burns (Thank you). - some old mesh parts restored. - esp file fix: correct mesh names. - better color between textures from different files. - new textures on some parts (from "the a (burns)" textures set). - Chinese SMG Textures updates. - Better overall vendors and looting distribution. Version 3.0: .44 Eagle Revolver multiple fixes/improvements. 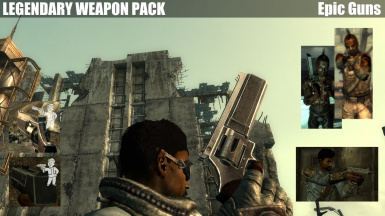 Always what to revive the Fallout 1 epicness of the "Desert Eagle" without breaking the new Fallout 3 Weapon line. Of course, Riders use them and available through Vendors. This is low-cuality "MAC 10" chinese version that was used mostly as a backup weapon. 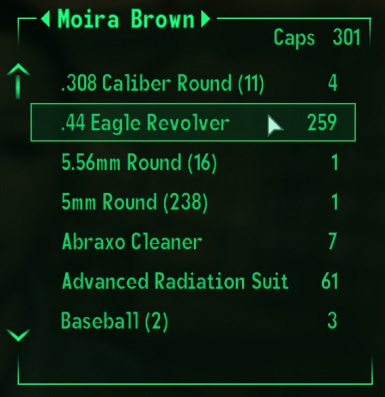 This gun is spread among the Wasteland and available also through Vendors. To install just add the .esp file and all the folders ( /meshes, /sound, /textures) into the /data folder and enable. Reload (sleep, wait some hours, go inside a building...) to enable full changes on the saved games. Note: Should be highly compatible with other weapons mods (quest scripts to place them). - Attached as much as posible to the "Unofficial Fallout 3 Patch". I try to ensure that this and future versions of the mod will be compatible with the patch. - Trying to achive as much in-game integration as possible. Try out Armored Wasteland, improvements over Power Armors, Super Mutants, Raiders and the Wastelanders. - remover hammer animation fix ( need help on this one).